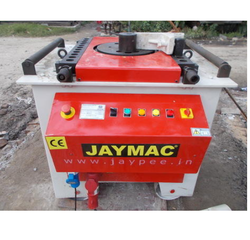 Prominent & Leading Manufacturer from Kolkata, we offer steel bar bending machine, hydraulic bending machine, tmt bending machine, bar bending machine, radius bending machine and steel bending machine. Oil bathed gear box reduces wear & tear of gear & pinion increasing machine life. 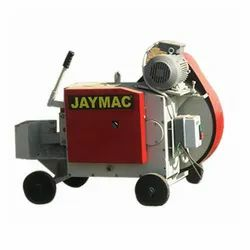 Model R.P.M Machine Motor Kg/mm245 Kg/mm265 Kg/mm280 Dimensions Weight approx. 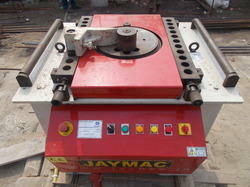 Automatic U bending of TMT rebars without using expensive manpower. 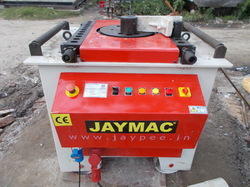 Upto 5 nos 20 mm diameter rebar bending at a time. Can bend upto 32 mm diameter TMT rebars. 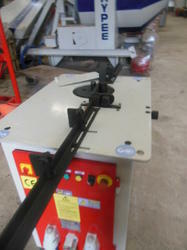 Optional automatic bar feeding arrangement available. Robust equipment with long life guaranteed. 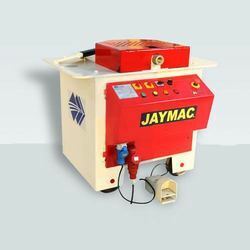 Bar Decoiling Straightening Machine is an innovative design for straightening round steel, hot and cold rolled rebar, ribbed steel and thread screw steel. Speed 40 to 90 M/Min. Speed: 40 to 90 M/Min. 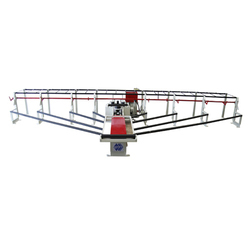 Backed by rich industry experience, we are manufacturing, supplying and trading a vast variety of Automatic Bar Benders (Steel Bending Machine). 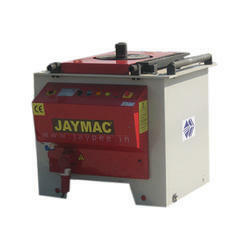 Manufactured using high-quality material, our range is an ideal rebar bending equipment. To ensure their safe transit, we pack these benders using premium quality packaging material. Backed by rich industry experience, we are manufacturing, supplying and trading a vast variety of Automatic Steel Bending Machine. 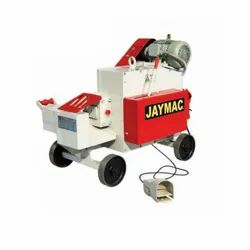 Manufactured using high-quality material, our range is an ideal rebar bending equipment. To ensure their safe transit, we pack these benders using premium quality packaging material. Backed by rich industry experience, we are manufacturing, supplying and trading a vast variety of Steel Bar Bender (Steel Bending Machine). 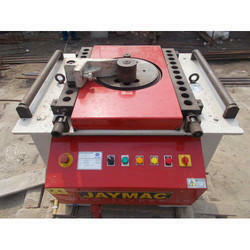 Manufactured using high quality material, our range is an ideal rebar bending equipment. To ensure their safe transit, we pack these benders using premium quality packaging material.